Our client is a leading provider of B2B managed services, delivering an end-to-end inventory tracking and monitoring solution to our client’s business customers and their customers. Our client’s web based solution employs intelligent devices that track the shipments from source to destination and are backed up by a global server network that helps in monitoring the inventory. The solution leverages unique service architecture and the evolving radio frequency label technologies to deliver a transparent non-disruptive inventory resource management services (track and trace services) to supply chain partners. Our client has partnered with several other inventory tracking providers to assemble a well qualified portfolio of inventory tracking and monitoring solutions, which are used by customers globally. Our client’s existing system enabled tracking and monitoring smart containers aboard cargo ships. Each of the containers tracked is fitted with a tracking device, which transmits signals indicating the geographical positions of the containers. These tracking devices on the containers attempt to acquire their geospatial positions from the GPS satellite network at pre-programmed “ping” intervals and transmit these by means of a Wi-Fi or GSM / GPRS connection to the tracking system server’s IP address. The complete information is then processed as per the position estimation algorithm to estimate the location of the containers. However, as the GPS and GSM coverage is not available over vast stretches of the ocean there were huge gaps of time wherein the position data was not relayed to the server, which makes it impossible to ascertain the container location in these intervals. Sometimes these gaps were as large as 12 hours which negatively affected the client operations and resulted in reduced customer satisfaction and economic losses. Hence our client wanted to upgrade its system to overcome this issue and build monitoring mechanism within the system which could estimate the container locations continuously. Our client wanted to engage a partner who has the domain knowledge for global tracking systems and who could take an end-end ownership of developing and upgrading the system independently. Our client required the engineering partner to understand, analyze and improve the position estimation algorithm which forms the key element in this tracking mechanism. 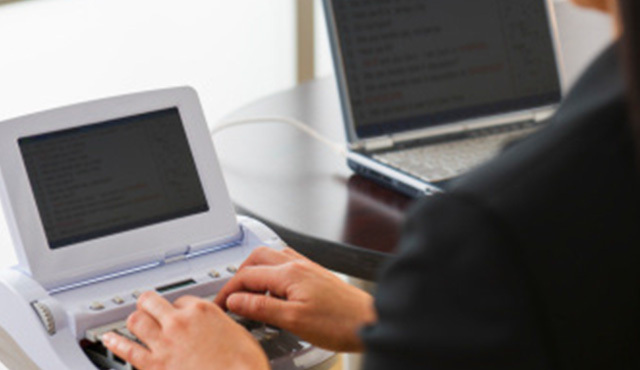 Also due to the criticality of the system, the partner was required to establish strong quality assurance process and perform intensive tests in a simulated as well as real test environment. 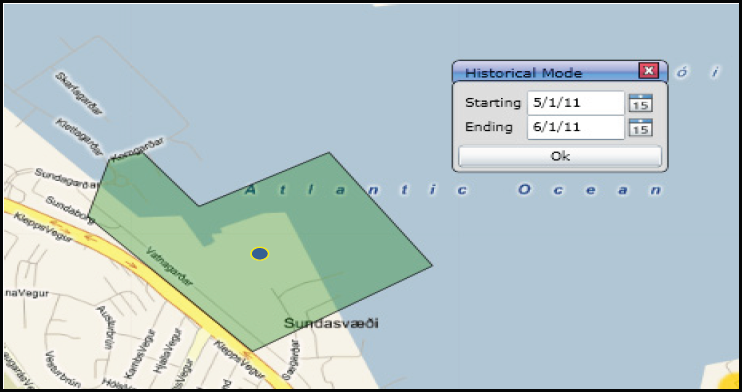 To modify the estimation algorithm to enable more accurate placement of containers on the geospatial map. To make suitable changes in the mechanism of plotting container locations within a geo-fence or zone to allow improved position estimations even during ‘no ping’ intervals. To define and implement the Geo Fence algorithm to determine if the container was within a particular perimeter and revisiting the path in case of any abnormalities. Xoriant established a core development team with a functional expert and technical lead. The Xoriant team members had a series of discussions with the client team to understand the technical requirements in detail. An engagement roadmap was charted with clearly defined milestones to ensure tracking and meeting the stringent release schedules. Xoriant team decided to develop and deliver the solution in three phases as elaborated below. Xoriant team analyzed and worked on the position estimation algorithm to enhance and accurately report the position, especially when no “GPS Fix” was available. The algorithm now plotted the estimated points with an increased accuracy of approximately 40% and represented the true path that the object had taken when in transit. Xoriant team decided to build a private database with the GSM ‘cell tower ID’ data on the regional servers. 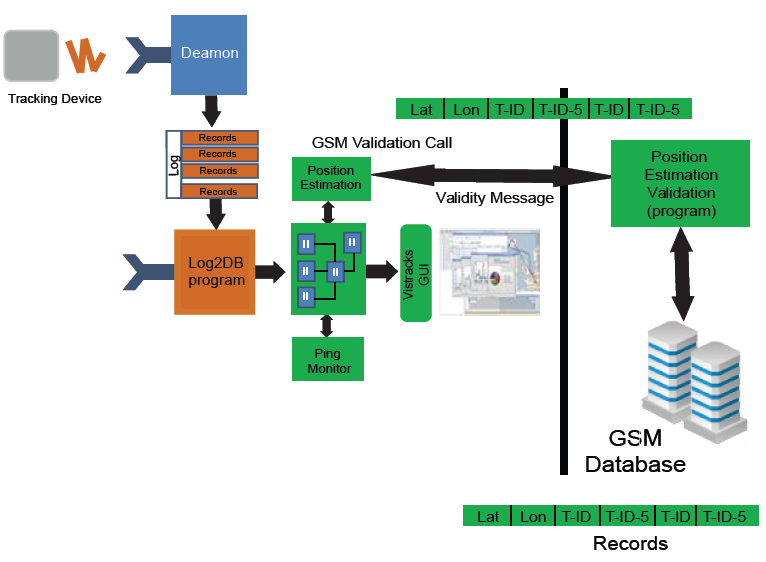 The idea was that this regional database would provide an accurate regional map of GSM cell tower coverage and the data would be used by the position algorithm programs from the client servers to improve the accuracy of the estimated position of the containers. Xoriant team analyzed that in the existing implementation of the tracking system, the container position data comprised solely the exact position given by its position coordinates in the database. Due to this, it was not possible to infer other valuable attributes like the duration and zone in which the container was located, which could have aided in determining the container positions during ‘blank transmission’ periods. 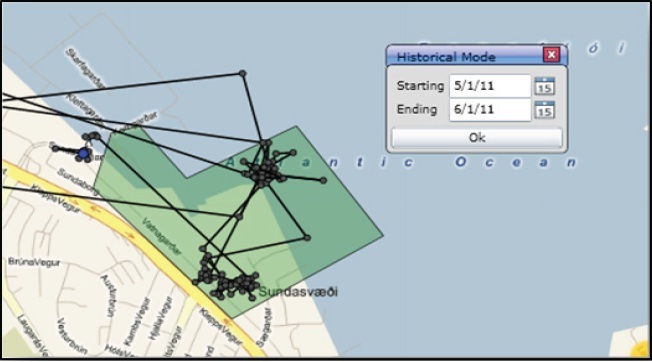 In this phase of the project Xoriant team implemented the Geo Fence optimization to determine if the container is present in a defined geo fence. The container position was then mapped to the centre of the geo fence, thereby allowing the system to conveniently map the location co-ordinates within a geometric figure rather than an abstract representation, allowing more accurate estimation of the container positions. Post implementation, a simulated environment was created to test the system for its accuracy and performance. A Quality Assurance team of experienced members from Xoriant’s QA Center of Excellence was established for rigorous testing of the system. Improved position estimation enabled client to plan for their daily operations effectively improving operational efficiency by 30%. Allowed generation of business reports and alerts based on the duration for which the tracking unit has been stationary thus aiding decision making. Enabled gaining a competitive advantage by increased customer satisfaction as the cell tower database which was generated using the new implementation allowed more accurate estimate of the tracking unit with an error margin reduced from 13% to 1.78%. We are very happy to work with the Xoriant team and would like to congratulate them for a job well done. Their contributions in improving tracking algorithms have helped us to overcome major issues in terms of accuracy. Their timely project delivery has enabled us to launch the product successfully and well ahead of the competition.